Keith Ellison on climate change and the Better Off Budget from LEFT MN on Vimeo. 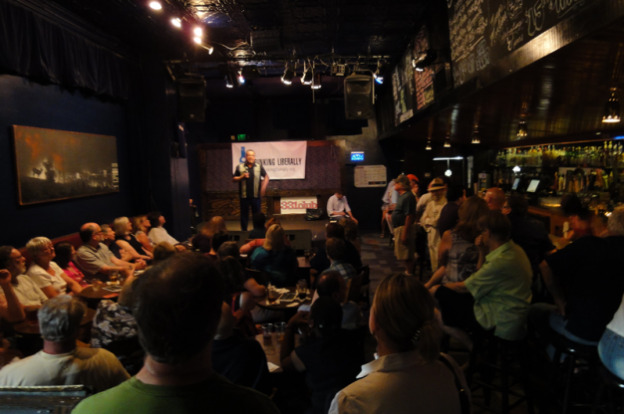 Keith Ellison came to Drinking Liberally in Minneapolis on May 1st and spoke to an enthusiastic crowd at the 331 Club. Rep. Ellison’s offered remarks on a range of subjects – with his trademarked optimism – and he took several questions from the audience, too, including this one.